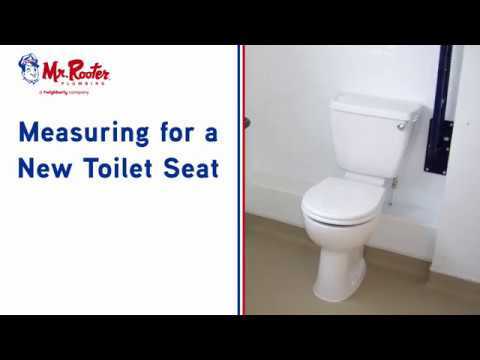 Mr. Rooter offers a comprehensive suite of residential and commercial plumbing services. Our team of Master Plumbers, Journeymen, Tradesmen, Drain Specialists and Apprentices are committed to providing customers with exceptional service, cost-effective solutions and best warranties in the industry. One of the reasons for our company's success is the business philosophy of conveying a more empathetic approach towards our customers. We not only want to be the plumber who walks in to fix a problem, but to better relate as professional technicians, explain available solutions and treat our customers with a greater level of respect. Our management team encourages each technician to ask exploratory questions so they can diagnose and resolve problems in a timely manner for our customers. Mr. Rooter Plumbing understands how important your time is and schedules appointments based on your availability. Call Mr. Rooter Plumbing at 936-539-4000 today to experience the difference! Mr. Rooter Plumbing stands among the strongest plumbing companies in our community. Mr. Rooter’s success is illustrated by earning Rookie of the Year Award in 2005, Personal Achievement Awards in 2006, 2007, 2009 and 2011. Top Gun Awards in 2006, 2007, 2008, 2010, 2011, 2012, 2013, 2014 and 2015, which is given to top 10% franchise operations nationally, including Canada. In addition, the Pioneer Award was earned, of which only five have been awarded in the last 32 years. Mr Rooter has also been voted #1 Plumbing Company 5 years in a row by Woodlands Online and voted “winner” for Living Magazine’s Reader’s Choice Award 4 years in a row. In addition, Mr. Rooter was awarded Small Business of the Year by the Conroe/Lake Conroe Chamber of Conroe in 2017 as well as Woodlands Online in 2019. Mr. Rooter Plumbing understands corporate social responsibility and has a long history of supporting our local community with volunteer hours and monetary donations through various organizations including, but not limited to Bridgewood Farms, Inc., Conroe Independent School District (Mentor at Hailey Elementary), Executive Women’s Alliance (Board Member and President), Conroe/Lake Conroe Chamber of Commerce (Board Member), Houston Boxer Rescue, Interfaith of The Woodlands, Junior League (HAPPY Committee Member), Leadership Montgomery County (former Director), Lone Star Animal Welfare League (former Board Member), Lone Star Boxer Rescue (Leadership Team), Montgomery County Animal Shelter, Montgomery County Association of Business Women (Diplomat Team Leader), Montgomery County Hispanic Chamber of Commerce ( former Board Member), The Woodlands Republican Women, Rotary Club of Conroe (former Board Member), Rotary Club of The Woodlands (Chair Conroe ISD Mentoring Committee), The Arthritis Foundation (former Chairwoman of 2 years and current volunteer), The Woodlands Area Chamber of Commerce, and Women of Vision Mentorship Program at Conroe High School. Mr. Rooter Plumbing stands among the strongest plumbing companies in our community. Mr. Rooter’s success is illustrated by earning Rookie of the Year Award in 2005, Personal Achievement Awards in 2006, 2007, 2009 and 2011. Top Gun Awards in 2006, 2007, 2008, 2010, 2011, 2012, 2013, 2014 and 2015, which is given to top 10% franchise operations nationally, including Canada. In addition, the Pioneer Award was earned, of which only five have been awarded in the last 32 years. Mr Rooter has also been voted #1 Plumbing Company 4 years in a row by Woodlands Online and voted “winner” for Living Magazine’s Reader’s Choice Award 4 years in a row. In addition, Mr. Rooter was awarded Small Business of the Year by the Conroe/Lake Conroe Chamber of Conroe in 2017.